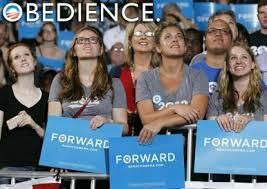 In large part, the American people have been conquered through the principle of groupthink. Throughout history, groupthink has played a prominent role in coercing the public of any nation into going to war for the benefit of the elite ruling class and their financial bottom line. Groupthink is a term coined by social psychologist Irving Janis in 1972, and it occurs when a group makes faulty decisions because group pressures lead to a deterioration of “mental efficiency, reality testing, and moral judgment”. Groups affected by groupthink ignore alternatives and tend to take irrational actions that dehumanize other groups. 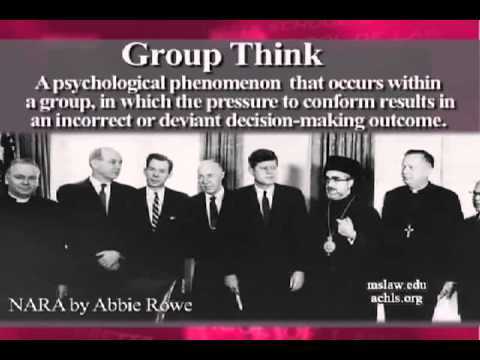 A group is especially vulnerable to groupthink (e.g. Neocons and the Iraq War, radical Muslim elements within the government and the coming great American purge followed by WW III) when its members are similar in background, when the group is insulated from outside opinions, and when there are no clear rules for decision making. It is the premise of this article that groupthink is being used to “nudge” Americans into accepting a new paradigm which is suicidal for the country’s continued existence. The illusion of invulnerability is often perpetuated when a cause first becomes public. “If God is for us, who can be against us” is often the kind of mentality that permeates a group in which self-righteousness will somehow protect the group from the faulty decisions of their leaders. It would be interesting to ask the tens of millions of dead people who died in the two world wars in the 20th century how well this illusion works. This illusion of invulnerability creates excessive optimism that encourages taking extreme risks. For example, when NFL player, Pat Tillman forsook his lucrative playing career and volunteered to serve in Afghanistan, following 9/11, he was killed by military leadership for expressing the anti-war views he increasingly came to believe. In the early days of a movement, people lose their minds and volunteer to give up their lives in order to kill complete strangers in order that billionaire bankers can make billions of dollars of more money. The members of a group quickly fall into a type of collective rationalization in the early days of group think. “If my neighbors believe in our course of action”, it must be perfectly OK to engage in things like genocide and mass murder (i.e. war). The members of the group discount warnings and do not reconsider their assumptions regarding a course of action even when it becomes clear that the course of action is immoral or even suicidal. Belief in an inherent and self-righteous morality. This view is often expressed, as President George W. Bush once said “You are either with us, or you are with the terrorists”. The members of the group believe in the righteousness of their cause and therefore ignore the ethical or moral consequences of their decisions. This type of group psychology has given history some of its darkest days. Stereotyped views of unfavorable out-groups is perpetuated. Stereotypical and extreme negative views of the “enemy” make effective responses to conflict seem unnecessary. This leads to the creation of devices like the infamous “Red List” which will ostensibly be used one day to rid the country of any dissenters. Direct pressure on dissenters in the group begins to surface in the early days of a movement. Members are under pressure not to express arguments against any of the group’s views. Political correctness is often used to usher in a group think kind of paradigm change. We have witnessed the climate change arguments and the advancement of gay marriage where nobody dare speak out against the concept at the risk of being branded “prejudiced”. Self-censorship becomes a critical operating component of the group. People fear speaking out, so they don’t. Doubts and deviations from the perceived group consensus are not expressed for fear of retaliation from the group and its leader. This is when a society begins to live in fear of its government and the establishment behind the government. The illusion of unanimity is perpetuated in and among the members of a group. The majority view and judgments are assumed to be unanimous. This becomes the well-spring of prohibitions on free speech, politically motivated round-ups and deportation to concentration camps (i.e. FEMA camps). Nowhere, can we find a better example of what happens when six corporations control 98% of the media. Browse through the networks, during the news hour, and you won’t find a stone’s throw difference between the way that CBS, NBC, ABC, CNN and Fox, report the news. It is the ultimate example of groupthink. And it is the single most important reason that we have a “sheep mentality “among 95% of the people in this country. Self-appointed ‘mindguards’ becomes a key operating component of the group. Members protect the group and the leader from information that is problematic or contradictory to the group’s cohesiveness, view, and/or decisions. This is the central operating principle of the maintenance of group think. Any dissension inside the group is quickly dealt with as if the dissenter were a member of the group of which their group is aligned against. Historians often point to examples of groupthink “fiascoes”. Dr. Janis offers as examples “the US failures to anticipate the attack on Pearl Harbor, the Bay of Pigs invasion, the escalation of the Vietnam war, and the ill-fated hostage rescue in Iran”. Certainly, the flawed policies enacted in conducting the wars in Iraq and Afghanistan are prime examples of this erroneous thinking brought about by the eight elements of group think. And this flawed thinking has led to the rise of ISIS, with the help of the CIA. History commands to not forget the Holocaust, Rwanda, Mao’s purge in China and on and on it goes. With every journalist ISIS beheads and with every staged terror attack upon American interests, the American people are being readied for war and the invocation of groupthink is the prime method of mental subjugation of our people. Many of you reading these words are going to become victims to what is coming. The elite use such organizations as Tavistock Institute to devise public policy reflective of these psychological tools of manipulation. Any organizing principle of war states that you must first neutralize the command and control structure over the enemy. This is why, whenever we invade a country, we first take out their radar and communications ability. This is one of the approaches that we need to employ in neutralizing the hold the globalists have over our minds. To do that, we only need to follow Jim Marrs’ advice and turn off the TV. Collapse the major instrument of control that our enemies employ against us, namely, the control over our minds through the mainstream media. If CNN and FOX were to disappear, we would stop being conditioned on what to think and begin thinking for ourselves. Subsequently, the veil of deception would be removed from over our eyes. The sheep would lose their media based shepherd and the sheep would be forced to find their own way in life. 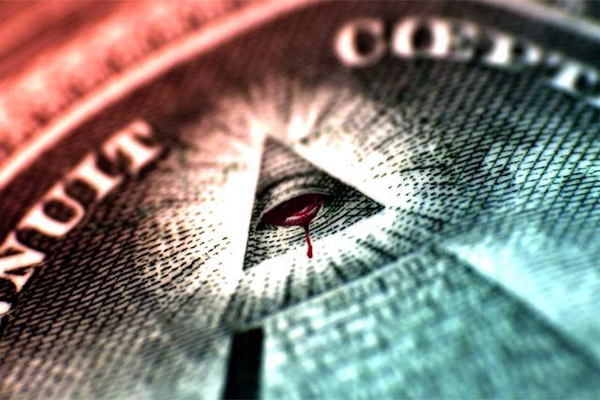 The resulting paradigm could lead to a global awakening and, other than the return of Jesus, this would constitute the worst nightmare for the globalists. Throughout my academic career, I have immersed myself in discovering how change occurs. Why do some movements take hold and win the day, while others die on the vine? The answer, coming from the field of social psychology, is surprisingly simple. The flip side of groupthink also exists. The antidote to group think is more groupthink in the form of presenting a groupthink psychology that is the antithesis of the existing paradigm being perpetrated today. When 10% of the people take hold of an idea, the idea spreads like wildfire. Computational and analytical methods were used to discover the tipping point where an obscure idea eventually becomes the majority opinion. The finding has dramatic implications for those of us trying to wake up the sheep in this country. The SNARC scientists found that the 10% figure was applicable whether they were talking about the spread of innovations or to advance an ideal. Reaching 10% of the population should be the objective of the alternative media and the primary goal should be the preservation of the soul and not to be quite as focused on achieving physical victory in this realm of existence. As previously stated, in order to wake up 10% of the population, the country would have to turn off the biggest propaganda device in the country, the television. Nature abhors a vacuum and if people were not watching television, they would begin to think for themselves, instead of being told what to think. 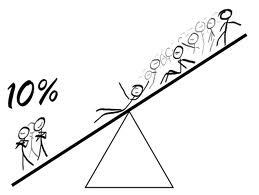 If the 10% factor were to ever be reached, it would constitute groupthink in reverse. There is no question that untold numbers of people are beginning to question the motives and actions of the government. 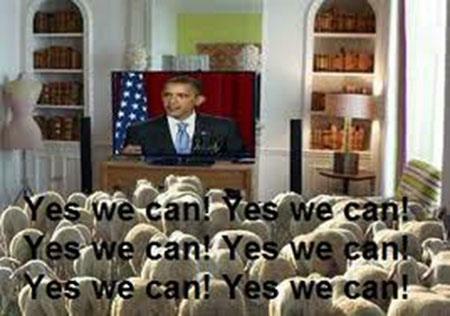 And increasingly, these awakening sheep, are looking to us in the independent media for answers. The 64 million dollar question has to do with whether America will reach the 10% threshold in time to make any real difference? If I can invoke the research of SNARC, don’t you think that the elite, with their vast resources already know the parameters of groupthink? Of course they do, they are using these principles against humanity in the here and now. I am of the belief that the independent media is on the threshold of a major breakthrough and the 10% plateau will actually be achieved, if even for only a short time. I firmly believe that the 10% factor will only be achieved for a very short time. The globalists are not yet ready to completely subjugate the planet. However, they do have failsafe positions which they will resort to if the trend curve of their movement is being thwarted by an awakening population. What are these failsafe strategies? World War III comes quickly to mind. One has to simply create a false flag, blame the next terrorist group and go to war in order to perpetuate the threat. Groupthink is invoked and history repeats itself, again. The globalists have even a more virulent failsafe position in the form of a biological attack upon the people of the United States. A widespread biological attack would quickly reverse the momentum of any social movement against globalist tyranny. Regardless, the only weapon that humanity has at it disposal in the moment, is to awaken as many people as possible. “Groupthink” assumes that the events cited above as “examples” of “groupthink” are nothing of the sort, since they were the consequences of decisions made, not by “groupthink” but by a few powerful élites, whose decisions are surely not subject to any kind of popular review. Moreover, the examples cited as disasters were in fact massive successes according to their actual design parameters. For example, the Japanese attack on Pearl Harbor was DESIRED by the crypto-Jew Roosevelt as a PRETEXT for our entry into the war against the “Axis” powers. Our naval forces were INTENTIONALLY CONCENTRATED IN A VULNERABLE POSITION (Pearl Harbor) so as to make a target too tempting for the Japanese to ignore. The Navy Admiral who objected to the move was removed from command. The rest, as they say, is history, but surely NOT “Groupthink”. Again, the rise of ISIS (etc.) is surely no result of “groupthink”, but rather the covert policies of the US government, which created, funded, and nurtured this and similar organizations from their outset. We first armed the Taliban as a “resistance group” in Afghanistan to thwart the Soviet Union’s presence there. We gave them heat-seeking, shoulder-launched anti-helicopter-gunship rockets, which worked exactly as they were designed to do. Same with Osama bin Laden’s “Al Queda”, which has since morphed into ISIS, then ISIL, then … ? So, IS this article really about “Groupthink”, or about concealing the true nature of false flags, and the identities of those responsible for them?